Broccoli is a healthy and tasty vegetable. Broccoli nutrition gives amazing health benefits. The family of this edible green plant is Cruciferous. It is low in sodium and in calories. But high in fiber, vitamin C, B6, and vitamin A. It is a non-starchy vegetable with a good amount of protein. It is a good source of antioxidants and phytochemicals. Broccolis have anti-inflammatory and cancer-preventing properties. Also, it is beneficial in the immune system, cardiovascular system and for digestion. One of the broccoli’s biggest advantages is its nutrient content. It is rich in vitamins, minerals, fiber, and other bioactive compounds. Broccoli can be eaten cooked or raw — both are healthy but provide different nutrient profiles. Different cooking methods, such as boiling, microwaving, stir-frying and steaming, alter the vegetable’s nutrient composition, reducing vitamin C, as well as soluble protein and sugar. Steaming have the fewest negative effects. Broccoli is an excellent source of vitamin C.
Broccoli contains soluble fiber, so it reduces cholesterol of the body. The soluble fiber binds with cholesterol in the blood. This binding makes the cholesterol easier to excrete, so consequently reduces cholesterol levels in the body. Several studies show that broccoli may support heart health in various ways. Raised LDL (bad) cholesterol and triglyceride levels are major risk causes for heart disease. Studies show significantly that it reduces triglycerides and “bad” LDL cholesterol, as well as increased “good” HDL cholesterol levels in people who were treated with a powdered broccoli sprout supplement. Though this data is encouraging, it isn’t strong enough to make definitive health claims about broccoli’s role in cancer treatment or prevention. Lastly, more human research determine the relationship between cruciferous vegetables and cancer prevention. Studies show that cruciferous vegetables, such as broccoli, may have a cancer-preventative effect, though more research is needed. Broccolis have cancer prevention property. All Vegetables of the Cruciferous family like- cabbage, cauliflower, have intestinal cancer prevention property. 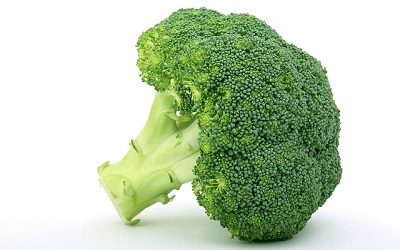 According to American cancer society, broccoli contains sulforaphane and indole-3-carbinol. These chemicals boost detoxifying enzymes and work as antioxidants. Also, these affect estrogen levels, so, breast cancer risk reduces. Vitamin A deficiency may cause night blindness. So, vitamin A is important for eye health. Broccoli contains beta-carotene. This beta-carotene convent into vitamin A in the body. So, broccoli increases eye health and decreases eye health abnormalities. There are many antioxidants in Broccoli that may support healthy cells and tissues throughout your body. Broccoli also has good amounts of the antioxidants lutein and zeaxanthin, which may prevent oxidative stress and cellular damage in your eyes. Broccoli has antioxidant property and consist of vitamin C. It has great anti-aging property. Free radicals often damage the skin. So, Antioxidants fight against free radicals. Broccoli reduces fine lines, wrinkles, skin issues, and overall skin texture. The process of aging attribute to oxidative stress and reduce metabolic function over the course of your lifespan. Though aging is an unavoidable natural process and diet quality is a major player in determining genetic expression and development of age diseases. Research shows that sulforaphane, a key bioactive compound in broccoli, may have the capacity to slow the biochemical process of aging by increasing expressing antioxidant genes. Still, more human research needs to determine a cause-and-effect relationship between the dietary intake of broccoli and its effect on the aging process. Broccoli contains Sulforaphane compound, which may be able to slow the aging process. More human research needs to better understand this function. Broccoli rich in antioxidants, vitamin C, copper, and zinc. So, it helps to maintain healthy skin and protects against skin infections. Research shows that bioactive compounds in broccoli may protect against UV radiation damage which leads to skin cancer. Animal studies show, treatment with broccoli extract resulted in significantly reduced tumor growth and prevalence in mice with UV radiation-induced skin cancer. Lastly, more research needs to understand how broccoli and its bioactive components may protect skin from sun damage. According to small animal and human studies significantly reduce tumor growth when broccoli extract used as a protective therapy against UV radiation. Calcium and in vitamin K is important for bone health. Broccoli is rich in calcium and in vitamin K. So, it gives good bone health naturally and prevents osteoporosis. Deficiency of vitamin K increase risk of bone fracture. So, by adding broccoli to your diet, you can increase vitamin K.
Many of the nutrients of broccoli support healthy bones and may prevent bone disorders. Broccoli is a good source of vitamin K and calcium, two vital nutrients for keeping strong, healthy bones. Broccoli contains phosphorus, zinc, and vitamins A and C, which are necessary for healthy bones as well. A test-tube study shows the sulforaphane found in broccoli may aid in preventing osteoarthritis. However, more research needs to draw any definitive conclusions on its role in humans. Many of the nutrients in broccoli — including calcium, vitamin K and phosphorus — are necessary for keeping healthy bones. Additionally, early research shows that certain antioxidants in broccoli may prevent some joint disorders. Broccoli control blood sugar in people with diabetes. Interestingly, an animal study revealed decreased blood sugar besides reduced pancreatic cell damage in diabetic rats fed broccoli extract. Broccoli is also a good source of fiber. Some research indicates that higher intake of dietary fiber associating with lower blood sugar and improve diabetic control. Studies show antioxidants in broccoli may reduce your overall risk of heart attack. A study show broccoli sprouts revealed a potentially protective effect against cell death and oxidative stress in heart tissue following a cardiac arrest. Additionally, higher intake of fiber-rich foods like broccoli associates with a reducing risk of heart disease. Research shows that broccoli may help reduce various heart disease risk causes and prevent heart tissue damage. Broccoli’s nutrients and bioactive compounds may slow mental decline and support healthy brain and nervous tissue function. Additionally, an animal study show kaempferol — a compound in broccoli — had lowered incidence of brain injury and reduced inflammation of neural tissue following a stroke-like event. Broccoli contains sulforaphane potent bioactive compound with the potential to support brain function after an event of reduced oxygenation to the brain. Animal studies show that broccoli’s specific bioactive compounds may have a protective effect on brain tissue. However, more research needs to settle this relationship in humans. The human immune system is complex and needs a multitude of nutrients to function properly. Vitamin C is the most essential nutrient for immune function and broccoli contains vitamin C.
Research shows that vitamin C plays a role in both the prevention and treatment of various illnesses. A daily intake of 100–200 mg of vitamin C seems to be enough to prevent certain infections. Broccoli provides an excellent source of vitamin C, a nutrient known to support a healthy immune response. Broccoli contains a wide array of nutrients, some of which support oral health and prevent dental diseases. Broccoli, a good source of vitamin C and calcium, two nutrients associating with a decreased risk of periodontal disease. Studies show that the sulforaphane compound of broccoli may reduce your risk of oral cancers. Lastly, more human research needs to better understand broccoli’s role in keeping a healthy mouth. Certain nutrients of broccoli associating with a decreased risk of certain dental and oral diseases. Your body needs a multitude of vitamins, minerals, and protein during pregnancy to support both baby and mother. Broccoli contains B vitamins (B9) or also known as folate. Folate is an essential nutrient for developing the fetal brain and spinal cord. Regular using of broccoli can help ensure healthy pregnancy outcomes. Additionally, some animal studies show that broccoli eaten by the mother may support the healthier cognitive development of the newborn. More research needs to better understand how broccoli and its bioactive compounds may support healthier pregnancy outcomes. Broccoli contains fiber and antioxidants. Both may support healthy bowel function and digestive health. Bowel regularity and a strong community of healthy bacteria within your colon are two vital parts to digestive health. Eating fiber- and antioxidant-rich foods like broccoli may play a role in keeping healthy gut function. A study shows that broccoli diet reduces levels of inflammation in the colon, as well as favorable changes in gut bacteria. A recent human study showed that people who ate broccoli could defecate more easily than individuals in the control group. Though these results are promising, more human research needs to better understand how broccoli affects digestive health. Many bioactive compounds present in broccoli that have been shown to reduce inflammation in your body’s tissues. Kaempferol, a flavonoid in broccoli, shows strong anti-inflammatory capacity in both animal and test-tube studies. A small human study in tobacco smokers also revealed that eating broccoli led to a significant cut in markers of inflammation. Broccoli contains several bioactive compounds that show an anti-inflammatory effect in animal and test-tube studies. However, more human research is needed. Broccoli is a nutrient-rich vegetable that may increase your health in various ways, such as by reducing inflammation, improving blood sugar control, boosting immunity and promoting heart health.